Netflix has given us an early look into its upcoming supernatural drama "Chilling Adventures of Sabrina Part 2" which continues the story of Sabrina Spellman and her friends after the events in Part 1. Our early screeners were limited to its first five episodes and here's our unadulterated preview on Part 2. 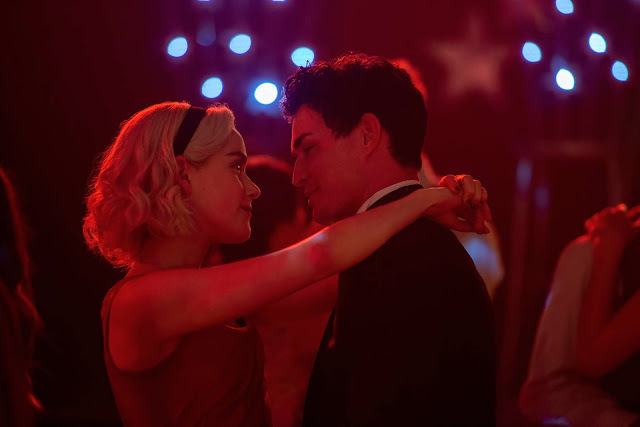 If Part 1 was all about Sabrina being entangled between two distinct worlds and two distinct values, Part 2 misses its mark heavily in its first five episodes as it fails to find a significant conflict to anchor on for our main character to work with. 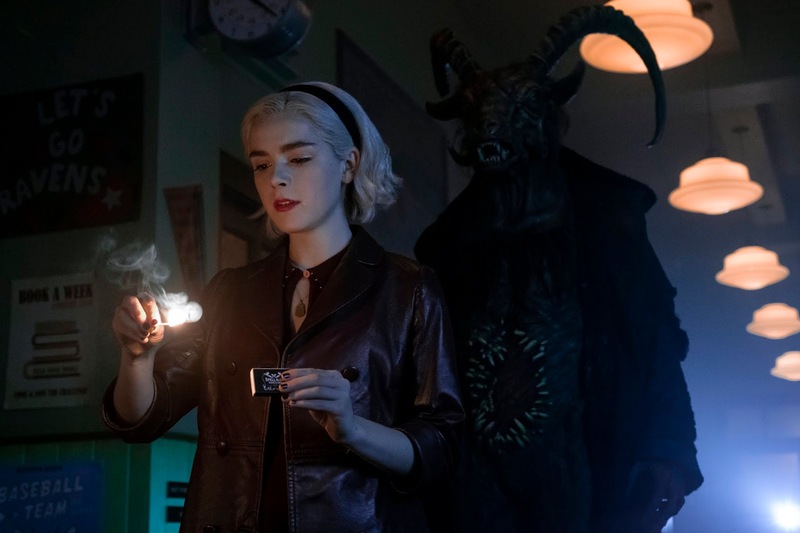 Without much grounding and long episode run times that add to the bloat, "Chilling Adventures of Sabrina Part 2" will test the wits of its audience. Now joining the Church of Night, Sabrina starts to explore her darker side and curious to learn more about her heritage. Deciding that the best solution to protect her human friends from harm especially Harvey is to be completely away from them, Sabrina decides to move on and falls head over heels with the warlock Nicholas Scratch. Meanwhile, The Dark Lord, Madame Satan, and Father Blackwood have their own agendas that continue to conjure chaos in the Spellman household, the Academy of Dark Arts, and even the town of Greendale. Now that Sabrina Spellman is part of the Church of Night, one of the biggest draws in Part 1's overall narrative is missing. She's still part-human but the conflict between being mortal and being supernatural is almost non-existent. In fact, Part 2 plays with the idea that Sabrina is starting to embrace and accept her darker side but this also means that her character development takes a sudden halt. This is not only an issue with Sabrina but the other supporting characters as well. The side stories are mostly superficial and silly at times. While we could see where the show is going with these side conflicts, they felt mostly half-baked, under-developed, and unnecessary. We're not sure if they were fillers but it did not help in maintaining our interest in the hour-long episodes. Speaking of which, the episodes are just too long. They could have trimmed it down by 15 minutes and the more brisk pace could have helped a lot. While the narrative feels like a huge step down, the acting was actually great. The chemistry between Sabrina and Nicholas Scratch was also one that made the experience at least a whole lot better. It just feels a little shameful that all the top-notch production values and acting were drastically affected by sloppy writing.